Fabulous Custom 4br+office built 2015 with Panoramic Views! Dramatic architectural features & quality appointments enhance the beauty of this home. All primary living inc. master suite on 1st level, two bedrooms upstairs. High ceilings, impressive arches and windows. Grand dual island gourmet kitchen with breakfast nook & adjoining family room. Beautiful grounds with vanishing edge spa/pool, fireplace,boulders & an abundance of patio areas. No Mello Roos, Poway Unified Schools & minutes to freeway access. Open the front door and fall in love. Inspiring views to the north over agricultural fields from the kitchen and family room set the tone. Imagine the sunset and trail of northbound cars with a glass of wine from your deck or spa. This home is designed to take advantage of the breathtaking views while providing a great family floor plan. 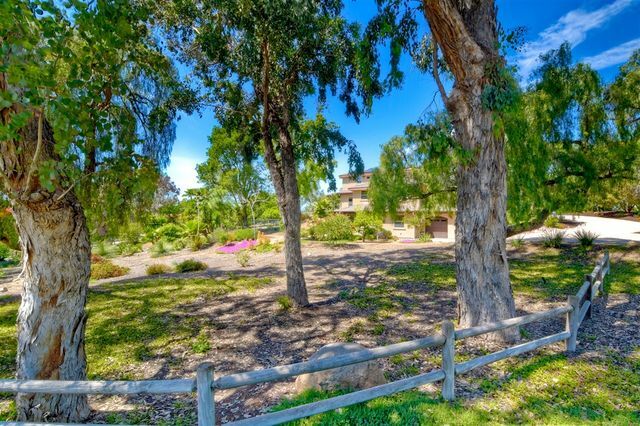 The master bedroom, family & dining rooms and kitchen are all perched on the second floor taking advantage of some of the best views in North County. Stunning Private Estate perched on 2 acres in The Trails with views! 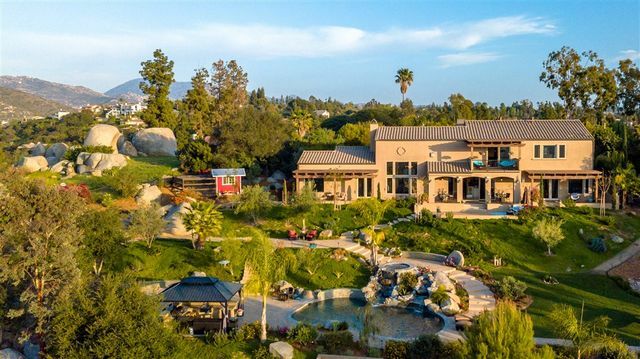 This 2009 custom built home by Wardell Builders features endless views of the San Pasqual Valley. Fall in love with the infinity edge pool that can be seen from nearly every room in the home. The open-concept Chef's kitchen flows into the family room with a gas fireplace and wet bar. 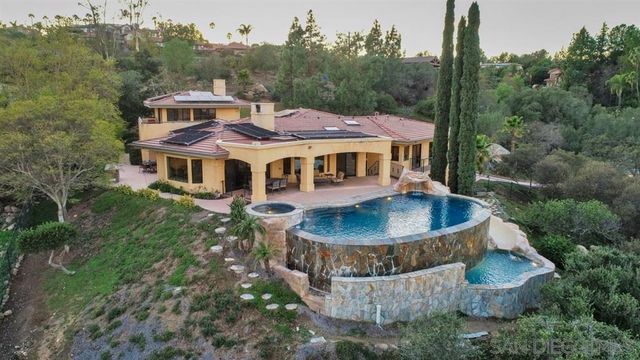 Above the 3 car garage is a secluded guest suite that doubles as an entertainment room with kitchenette, fireplace and a private bed/bath.A must see Estate! 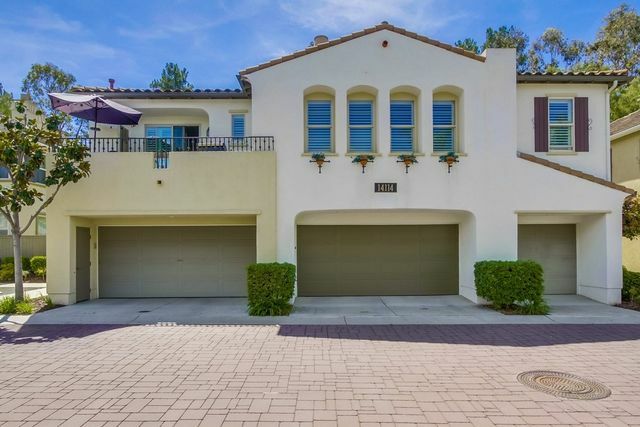 Gorgeous home in Carmel Mountain Ranch’s newest community. This 3 bed, 2.5 bath 1427 sq.ft. 2008 built townhouse with private yard is upgraded and move in ready! Open floor plan with amazing storage including a walk-in pantry. Downstairs full laundry hookups. Great natural light and solar tubes. Updated kitchen with stainless appliances, granite, surround sound speakers in master, outside and in living room. 2 car garage features new water heater, hanging racks, natural light and cabinets! Poway Schools!